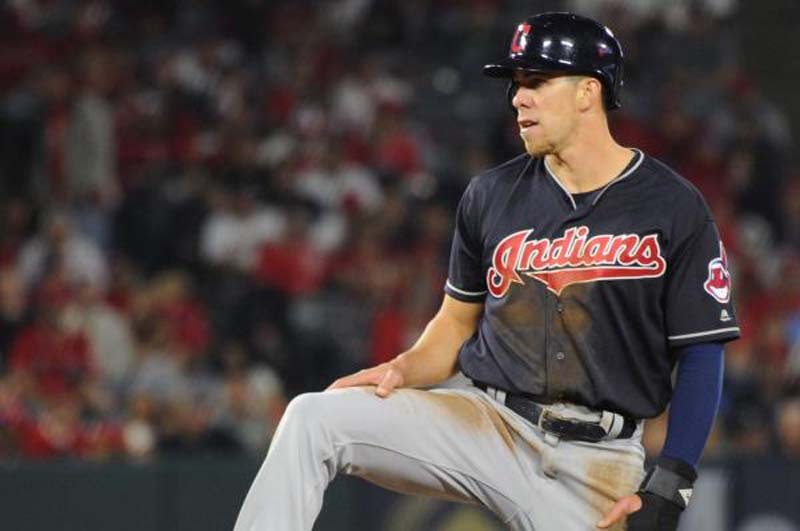 The Cleveland Indians will try to improve upon their lead in the American League Central when they visit the Chicago White Sox to open a four-game series on Monday night at Guaranteed Rate Field. Cleveland (34-29) struggled to begin the season but has won four of its past five games to establish a five-game lead in the division. The Indians are in search of their third consecutive division title. Meanwhile, Chicago (22-41) has endured a difficult start in its rebuilding process but has played better as of late. The White Sox are coming off a weekend series win against the Boston Red Sox and have won five of eight. The Indians will turn to right-hander Carlos Carrasco (7-4, 4.23 ERA), who will make his 14th start of the season. The 31-year-old is on track for his fourth consecutive season with double-digit wins. In 21 appearances (20 starts) against Chicago, Carrasco is 6-9 with a 4.53 ERA. He has walked 30 and struck out 119 in 117 1/3 innings. He turned a corner last year as he posted a 3-0 record with a 1.23 ERA in four starts against the White Sox. Carrasco fanned 10 in his most recent outing against the Milwaukee Brewers. "They told me I have to be a little more aggressive with two out," Carrasco said to the Cleveland Plain Dealer. "It was good. It was something I could learn from here so that it doesn't happen anymore." The White Sox will counter with right-hander Lucas Giolito (4-6, 7.08), who is trying to move past a turbulent start to the season. The 23-year-old looked good in his last outing Tuesday when he held the Minnesota Twins to two runs and six hits in six innings to claim the victory. In his only career start against Cleveland, Giolito allowed five runs and nine hits in six innings for a 7.50 ERA. Michael Brantley and Jose Ramirez each went deep against the young pitcher in the May 29 victory. White Sox manager Rick Renteria said Giolito and fellow right-hander Reynaldo Lopez had shown progress. "These are two of our youngest guys who are evolving in different ways," Renteria told the Chicago Sun-Times. "Lucas is really grinding his way back to where he was late last year, and (Lopez) is growing and refining and getting after it. Both are big pieces for us." Brantley will try to stay hot at the plate for the Indians. He has feasted on divisional opponents this season, batting .313 (31-for-99) with three doubles, six home runs, 18 runs scored and 20 RBIs in 24 games against the AL Central. White Sox shortstop Tim Anderson will try to increase his hitting streak to five games. The former first-round pick scored a run and contributed an RBI in Sunday's series finale against the Red Sox. Anderson has drawn a career-high 20 walks in 61 games this season after walking only 13 times as a rookie during the 2016 season and 13 times as a second-year player in 2017. On Sunday, he drew a bases-loaded walk to score teammate Jose Abreu from third base with two outs in the third inning. The Indians are 3-0 against the White Sox this season. Cleveland has outscored Chicago 25-10.